Kevin A. Pollock, J.D., LL.M. is an attorney and the managing partner at The Pollock Firm LLC. Kevin's practice areas include: Wills Trusts & Estates, Guardianships, Tax Planning, Asset Protection Planning, Corporate and Business Law, Business Succession Planning & Probate Litigation. Kevin Pollock is licensed in NJ, NY, PA and FL. We have offices located near Princeton, New Jersey, and Boca Raton, Florida. According to multiple news sources, when the creative director and fashion designer Karl Lagerfeld died on February 19, 2019, he left his famous cat, Choupette, a significant amount of money in trust. Pet trusts are now quite common, and specifically authorized by statute in most jurisdictions. Many people consider pets as a part of the family, and want them to be cared for as such. A pet trust can provide money to pay for a caregiver, food, pet supplies, and a veterinarian. It can also provide a place for your pet to live (or board), and in the case of Choupette, a personal chef. Most estate planning attorneys who create pet trusts will provide a check and balance on the trustee, the caregiver, and the remainder beneficiary. In other words, we do not recommend that the person in charge of caring for the pet be the one managing the money and the ultimate remainder beneficiary when the pet dies, as this would create a perverse incentive for the caregiver to do a bad job in caring for your beloved pet. For people who do not want to create trust, they can always leave money to a caregiver (or charitable organization) with the hope that the caregiver will maintain the pet properly. The benefit of a trust is that it makes the arrangement more legally enforceable and provides greater oversight. New Jersey, Pennsylvania, and Florida have statutes based upon the Uniform Trust Code. The NJ Pet Trust Statute can be found at: 3B:31-24 Trust for care of animal. The Pennsylvania Pet Trust Statute can be found at: 20 Pa.C.S.A. § 7738. Trust for Care of an animal. The Florida Pet Trust Statute can be found at: Florida Statute 736.0408 Trust for care of an animal. The State of New York also has a statute specifically authorizing the creation of a pet trust, which can be found at NY Est Pow & Trusts L § 7-8.1 Trusts for pets. It should be noted that the NJ statute, enacted in 2015, amended a previous version of the law that limited Pet trusts to 21 years. It also clarified that a Pet trust could be created under a revocable trust document, not just as part of a trust created under a Will. It should also be noted that living money to a pet (in trust or to a caregiver) will likely give rise to an inheritance tax in both Pennsylvania and New Jersey. Why should I avoid probate in Florida? The reason many people wish to avoid probate in Florida because it can bypass the restrictions on who can serve as the person in charge of your affairs, make things more simple for the person in charge of your affairs, keeps costs down, speeds up the process of getting money to your intended beneficiaries, and allows you to have greater privacy. How does avoiding probate avoid the restrictions in Florida with respect to who can manage your affairs? Avoiding probate makes it easier for the person you want to manage your affairs after death to qualify as the person in charge because not everyone can serve as an Executor of Administrator in Florida. For example, a nonresident person may not serve as an executor unless they are related to you by blood, marriage, or adoption (See FL Statute Section 733.304) So, if you want to name a family friend to be an executor, they are not permitted to serve as executor unless that friend lives in Florida. Additionally, there is often a bonding requirement for anyone who wants to serve as an administrator of an estate when the decedent died without a Will. If the proposed administrator does not have good credit, they likely will not qualify for a bond, and therefore would be ineligible to serve as administrator. How does avoiding probate in Florida make things more simple? The third step is to pay the beneficiaries and close down the estate. When you use a revocable trust (which is fully and properly funded before death), the first step can be avoided. Needless to say, when you don't have to go to Court and file a Petition, that speeds up the estate administration process and reduces the overall costs. Other reasons to avoid probate. I would also like to point out that another benefit to avoiding probate is that some counties have a routine practice of requiring executors and administrators to put all of the funds of an estate into a restricted depository account that can only be released by Court order. This also has the negative effect of making the administration process take longer and more expensive (because you need another Court order). However, I do understand that this practice is being challenged. If you would like to learn more about that, Boca Raton, Florida Attorney Chuck Rubin has written a nice piece called: Mandatory Restricted Depository Arrangements in Probate Questioned. Kevin A. Pollock, Esq., LL.M. is an attorney licensed to practice in NJ, NY, PA and FL. Kevin meets with clients in Boca Raton, FL office located at 5499 N. Federal Highway, Suite K, Boca Raton, FL 33487 by appointment only. Kevin may be reached at (561) 247-1557. I am happy to announce that we have finally finished creating a series of short videos regarding the estate planning and estate administration process. Here is our third video in which Kevin A. Pollock, Esq., LLM is being interviewed by Pierson W. Backes, Esq., the head of our estate litigation department, regarding the things a person should think about before meeting with an estate planning attorney. Some of the things people should think about include where you want your money to go, who you want to be in charge of your estate, who you would want to act as trustee of any trusts you create, and who should be guardians of any minor or disabled children. New Jersey may be getting a lot tax friendlier for small business owners. I hesitate to even write this blog post, as I generally prefer to wait until legislation is actually passed before I write on a topic (mainly because it is a waste of everyone's time to read about something that may never come into law). However, the NJ State Senate has already passed the "Pass-Through Business Alternative Income Tax Act" by vote of 40-0, so there's a good chance that this may become law, and very soon. 1) NJ will start implementing a new business tax, effective January 1, 2018, on pass through business entities (such as limited liability companies, S-Corporations, and Partnerships). 2) This new business tax will be roughly equal to the tax the owners of the business are already paying on their NJ income tax returns. 3) The owners of the business will receive a dollar for dollar credit on their personal NJ income tax returns for any business taxes paid. The legislature was effectively trying to make this a wash from a NJ revenue standpoint, but let's be clear, this will raise significant revenue for New Jersey because the tax rates don't align perfectly with the income tax rates for either individuals or married couples. 4) 10.75% tax on distributive proceeds over $3M. However, if this new law goes into effect, it will be a significant net savings for NJ business owners because they will not be as badly impacted by the new federal law. Remember, the Tax Cuts and Jobs Act signed by President Trump stated that State income taxes and local property taxes are capped at $10,000 per year. The reason that NJ business owners will not be adversely affected by this new (and usually higher) business tax is that NJ is converting a non-deductible state income tax (from your personal return) into a deductible business expense. If the New Jersey Pass-Through Business Alternative Income Tax Act does not come into law, then she would have a state income tax liability of approximately $7,365 and a federal income tax liability of $19,533 (after factoring in the 199A deduction of 20% and the $10,000 property tax deduction). Total tax liability of approximately $26,898. Joanne does not get to deduct the $7,365 from her federal income taxes. If the New Jersey Pass-Through Business Alternative Income Tax Act does come into law, then there would be a NJ business tax of $7,875, no NJ personal income tax, and a federal income tax liability of approximately $18,118 after reducing the $150,000 of income by $7,875 and then factoring in the 20% 199A deduction. Total tax liability of $25,993. As you can see, the big difference is that the $7,875 should be considered a deductible business expense for purposes of the federal tax law. So even though there is an additional $510 of NJ state taxes, there is $1415 less of federal income taxes, for a total savings of $905. If and when the NJ law actually passes, I will provide another update. * Note - all calculations for taxes done using free software with minimal assumptions, so please do not rely on them. I am just trying to illustrate how the new tax law should work in theory. Director of the estate administration department. How much are you earning now? When are you expecting to retire? How much should you gift to your children to minimize taxes while still having enough to live on? What do you expect to earn/spend in retirement? How much are you likely to receive from Social Security? Many clients are concerned with running out of money and have a lot of difficulty calculating the best strategies for how and when to start claiming their Social Security. After all, the strategy of wait until as late as possible simply doesn't work for everyone. From a pure return on investment strategy, it might be worthwhile for a low income earner in a marriage to take the benefits early. This is particularly true when there is a big age disparity between spouses. In looking around online, I found a wonderful website to help you analyze the best strategies. The site Open Social Security has a great calculator for spouses that let's you know, based upon your ages and the amount Social Security expects you to receive at full retirement, when is the best time for each of you claim your social security. We still recommend speaking with your attorney and other advisors to fully flush out all the issues, such as factoring in the health of your and your spouse, discussing when other income should come in, and what type of guaranteed money is otherwise likely to be available. Nevertheless, this is definitely one of the better calculators I've seen. What is the first thing an executor of a Will should do? I am happy to announce that we have finally finished creating a series of short videos regarding the estate planning and estate administration process. Here is our second video in which Elizabeth Ketterson, Esq., the Director of our estate administration department, is being interviewed by Kevin A. Pollock, Esq., LL.M. regarding the first things a person who is in charge of an estate should do. If the person is named under a Will, that person is known as the executor. If there is no Will, that person can apply to the court to be appointed as an administrator of the estate. We recommend that you meet with an attorney that your are comfortable with to help you prepare the paperwork necessary to be appointed as Executor or Administrator. The Court will then give you the necessary paperwork to speak with banks, set up an account, and make any claim for funds owed to the estate. Once you have started collecting assets, then you can arrange to pay the estate's bills. We strongly recommend that you do NOT distribute money to any beneficiaries until all the bills have been paid and you have received a waiver or release from the beneficiaries stating that they approve of your actions as executor. Want to Receive Daily Updates? The Pollock Firm LLC is located in Lawrence Township, NJ. Lawrenceville is located in Mercer County about 10 minutes south of Princeton and 5 minutes east of Pennington, NJ. We are 15 minutes east of Bucks County, PA. The Pollock Firm LLC in Boca Raton, Florida is located in Palm Beach County about 25 minutes south of West Palm Beach and 25 minutes north of Fort Lauderdale. We are 5 minutes south of Delray Beach, FL. Kevin graduated from Tulane Law School in 1999 and received a Masters in Taxation from New York University School of Law in 2000. He graduated from Rutgers College in 1996 with a bachelor’s degree in history and a minor in Japanese. Kevin also spent a year studying abroad in Japan. Kevin is a member of the Mercer County Estate Planning Council, Mercer County Bar Association, Bucks County Estate Planning Council, and the New Jersey State Bar Association. In addtion to the practice of law, Kevin has also taught as an adjunct instructor at Mercer County Community College and was a member of the Lawrence Township Board of Education from 2006-2009. Originally from Ocean Township, New Jersey, Kevin is the youngest of three children. He currently lives in Lawrence Township with his wife and two children. 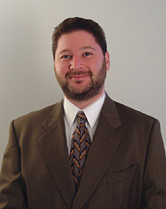 Kevin is licensed to practice in New Jersey, New York, Pennsylvania and Florida. The attorneys at the The Pollock Firm LLC serve clients in the following cities: Belle Mead, NJ Boca Raton FL Delray Beach FL Ewing NJ Hamilton NJ Hopewell NJ Lawrenceville NJ New Hope PA New York City NY Pennington NJ Princeton NJ Ringoes, NJ Robbinsville NJ South Brunswick, NJ West Windsor, NJ White Plains NY Yardley PA.
New York Injury Attorney Blog - Michael Joseph, Esq. Patent/Trademark Law Firm of Michael J. Feigin, Esq. The materials in this BLAWG and this website have been provided by The Pollock Firm LLC for general informational purposes only. This information is written to permit you to learn more about the services that The Pollock Firm LLC offers to clients. This information is not intended to create any relationship between The Pollock Firm LLC and the recipient. Neither the transmission nor receipt of the BLAWG or the website materials will create an attorney-client relationship between sender and receiver. The materials contained herein are general in nature and may not apply to particular factual or legal circumstances. Please note that my old number, 609-895-8299 (TAXX) is no longer in service and you should contact me at 609-818-1555. (c) 2007 -2018 The Pollock Firm LLC. You may forward the information on this BLAWG and website, provided the name and attribution to our firm is included. Circular 230 Disclaimer: To ensure compliance with requirements imposed by the IRS, we inform you that any U.S. federal tax advice contained in this communication (including any attachments) is not intended or written to be used, and cannot be used, for the purpose of (i) avoiding tax-related penalties under the Internal Revenue Code or (ii) promoting, marketing or recommending to another party any transaction or tax-related matter(s) addressed herein.